The Baby Angel Pendant is a lovely little Silver Angel necklace for children to wear, or for those of us who just prefer a small pendant. 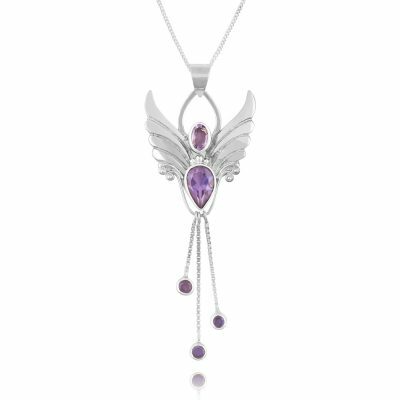 Comes in Amethyst, Pink Tourmaline or Golden Citrine. 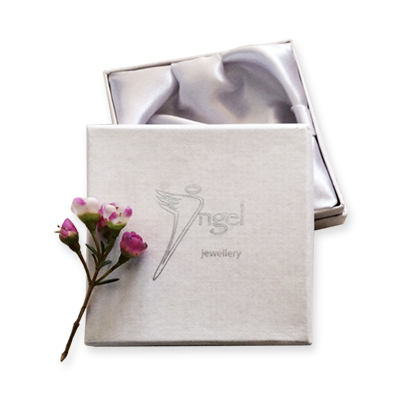 Necklace comes in our special Angel Jewelry presentation box, with a sterling silver chain and a printout describing the Angel’s gifts. 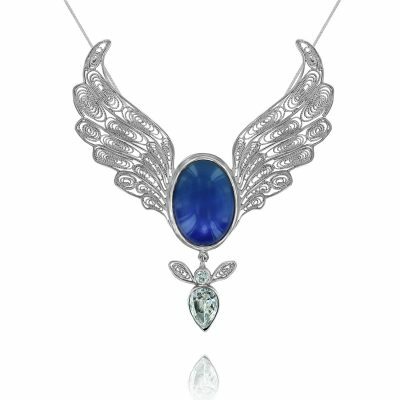 The Baby Angel Pendant with a real gemstone set between silver angel wings is a perfect size for children to wear. 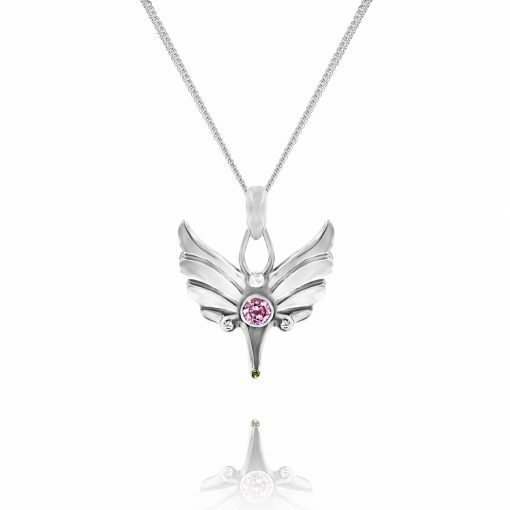 My grandchildren all have one in their treasure box and don’t ask me the number of times we’ve given one to their friends as well, because lets face it what little girl doesn’t want their very own Guardian Angel necklace. When my children were little, spending the night at Granny’s, or at a friend’s house could be challenging at first so I would put their little Guardian Angel Pendant on them as they were leaving and it would give them a little bit of extra comfort. I like to tell the children that if they are worried or afraid about something, first tell Mum and Dad, and then tell your Guardian Angel because she is with you sending you her comfort and love even when you have to do something on your own. Some of us prefer jewellery on the smaller side. I know a lot of adults who can’t wear jewellery at work, or at least cannot have it seen over uniform for instance. This little pendant is perfect for wearing “in-cognito” so to speak, under a sweater or a blouse. When you need the support of your Angel you know you have one close beside you, and even though no one else can see her you know she is there, guiding and protecting you. 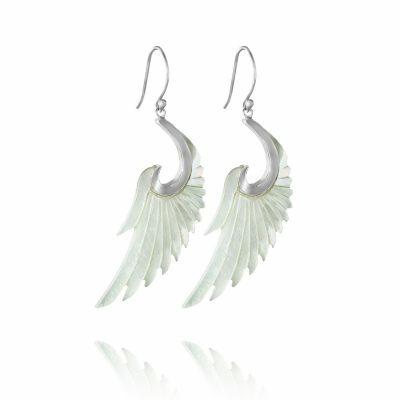 Angel Earrings and Ring to match your Baby Angel Pendant. 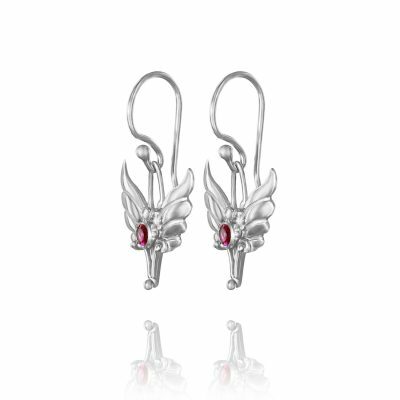 If you like the design of the Baby Guardian Angel Pendant you might like to see the Baby Angel Earrings too. These can be worn together and are often bought as a set. 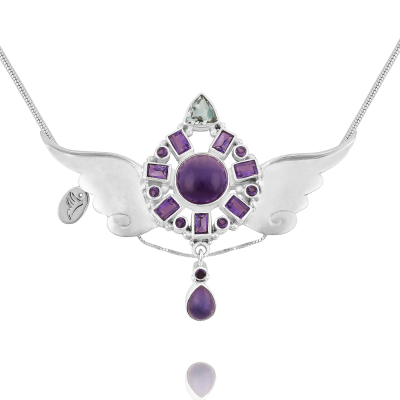 Not only that, we have also designed an Angel Ring which is a perfect match for both the pendant and the earrings. You might be interested to view the ring here.